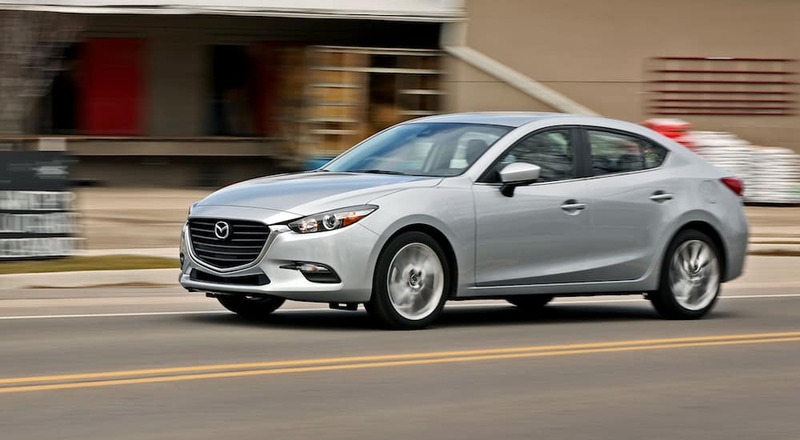 The Mazda3 is a compact car that was introduced for the 2014 model year. 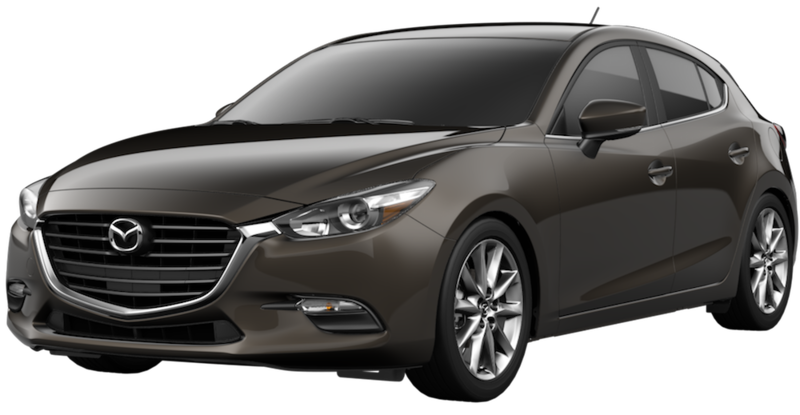 For 2018, the 2018 Mazda3 has been refreshed and redesigned with all of the classic Mazda elements. Not lacking in standard features, the 2018 Mazda3 in Charlotte, NC is available in both sedan and hatchback styles. With one of two efficient inline-four engines and either a slick-shifting six-speed manual or an almost-as-satisfying six-speed automatic transmission. 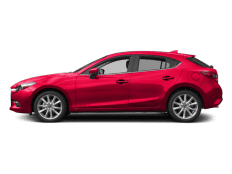 A consistent presence on the ten best cars list at Car and Driver, the Mazda3 brings a lot of car to the table, no matter what trim level drivers select. 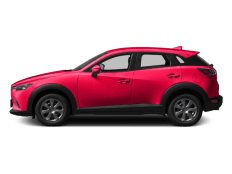 The 2018 Mazda three comes in at the top of many lists for those who are looking for a compact car that feels luxurious and performs above average. 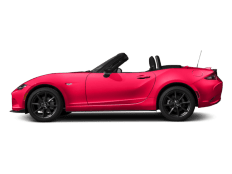 No part of this car feels entry-level, thanks to Mazda’s unique styling and craftsmanship. Its interior is upscale, and it is extremely fun to drive. While the Mazda3 has been on the top of the list for many years in its class, it seems that it keeps getting better. 2018 brought a host of small improvements that make the Mazda3 an even better pick for a compact car that delivers in style, performance, and personality. 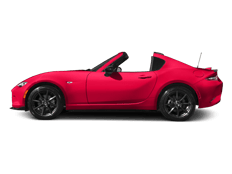 Mazda has always brought excellent quality, safety, performance, and styling to all of the vehicles in their price points. The Mazda3 is no exception. The 2018 Mazda3 comes standard with cloth seating surfaces, a 2.0 Liter SKYACTIV®-G engine that creates 155 horsepower, a 7-inch MAZDA CONNECT™ infotainment system screen; Bluetooth phone and audio pairing; one-touch driver’s power window; power mirrors; remote keyless entry; and push-button ignition, along with many more standard features. Sport sedan models have an available package that includes 16-inch alloy wheels, Advanced Blind Spot Monitoring, rear cross-traffic alert, satin chrome interior trim, and power heated outside mirrors with integrated turn signals. The Mazda3 five-door models have 16-inch alloy wheels standard. The mid-level 2018 Mazda3 Touring carries an even greater level of equipment, starting with what’s under its hood. Mazda3 Touring comes standard with a SKYACTIV®-G 2.5 engine, making 184 horsepower. Mazda3 Touring comes with leatherette seating surfaces, heated front seats, Advanced Blind Spot Monitoring, Rear Cross-Traffic Alert, rain-sensing wipers, automatic on/off headlights, dual-zone automatic climate control, Mazda Advanced Keyless Entry, a six-way power driver’s seat and a leather-wrapped steering wheel and shifter knob. At the top of the trim levels in the Mazda3 lineup is the Grand Touring model, which comes standard with perforated black or parchment-colored leather seating surfaces with heated front seats, full-color Active Driving Display head-up unit and LED fog lights as well as previously optional equipment such as self-leveling bi-LED headlights, LED combination tail lights, and LED daytime running lights. The Mazda3 Grand Touring’s Premium Equipment Package adds pivoting Adaptive Front-Lighting System, a heated steering wheel, paddle shifters on automatic models, Mazda navigation system, Auto-dimming interior mirror with Homelink, High Beam Control, Lane Departure Warning System, Lane Keep Assist, Mazda Radar Cruise Control, Smart Brake Support and Traffic Sign Recognition. Many of these features were previously only available in separate packages at additional costs. The 2018 Mazda3 was designed to have better handling and provide a more exhilarating driving experience. The already high-performing Mazda3 has amplified its driving performance with precisely tuned 4-wheel suspension. The 2018 Mazda3 also comes with your choice of manual or automatic transmission that is powered by a 2.0 L SKYACTIV® gasoline engine, with 2.5 liter that offers 184 horsepower and 185 lb of torque. New technology also offers driver and passengers a smoother ride, adjusting around corners to change power delivery shifting vehicle weight. MAZDA CONNECT™ provides drivers with the most technologically advanced cabin. It is a next-generation infotainment system that provides a myriad of entertainment and information options. Drivers can pair their smartphones with Mazda3 Bluetooth to stream favorite content. Staying connected, entertained, and informed becomes intuitive and easy to use. Control all of this technology with the onboard 7” full-color touchscreen. Perhaps no technology is more important than those that improve the safety of the driver and passenger. The 2018 Mazda3’s safety and driver-assist technology are designed to make the driver more aware of his or her surroundings and for the drive to be less fatiguing. 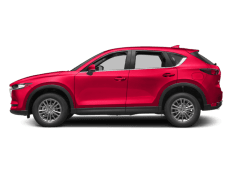 Available safety features include Rear Cross Traffic Alert, Advanced Blind Spot Warning, Smart Brake Support, Lane Departure Warning System, and Lane-Keep Assist. 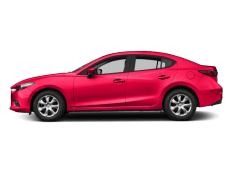 Mazda takes great care with the design of their vehicles, and the 2018 Mazda3 is no exception. Every detail of the interior was designed to make driving better. From the instrument panel to the gear selector, everything was placed with intention and care to make the driving experience more intuitive so that drivers can focus more on driving. The 2018 Mazda3’s sport seats are contoured to fit perfectly to the body, so they give you and your passengers a more comfortable and connected ride no matter how long your commute. The high-end sport seats are available in cloth, leatherette, or dual stitched leather. Carefully designed seat perforations make seats soft and breathable and also make them sound absorbing to help limit road noise. The entire interior design of the Mazda3 was made to give drivers an intuitive driving experience. The exterior of the 2018 Mazda3 is sleek with sporty contours and speaks volumes about how it drives before you even get in the driver’s seat. Available features like 18” alloys, LED headlights and rear deck spoiler elevate the 2018 Mazda3’s styling to a superior level. Even the paint on the 2018 Mazda3 is special. Machine Gray Metallic Paint makes the Mazda3 look as if it’s machined from a single piece of steel. All of these exterior features give the Mazda3 its luminous and sleek appearance. At Keffer Mazda, we are committed to giving our customers the absolute best customer service. We pride ourselves as members of our community and give back in many ways throughout the year. At Keffer, you will never be met with deceptive sales tactics or struggle with going back and forth on high ticket prices. What you will find is a friendly team of knowledgeable professionals who will get you in the car that is right for you in a stress-free and pleasant car buying experience. 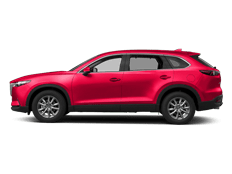 Here at Keffer Mazda we also know that service and repair are as important as sales, so we make sure we have a trustworthy and skilled team of Mazda technicians on staff available to service and repair your new vehicle. We offer extended weekend hours, so it’s easy to get the care your vehicle needs when you need it. Come check out the 2018 Mazda3 in Charlotte, NC today!